No Activity is back in action. Today, CBS All Access announced season two of the TV show will premiere in November. The comedy stars Tim Meadows and Patrick Brammall as “Detectives Nick Cullen and Judd Tolbeck, two low-level cops who have spent far too much time in a car together.” The new season will feature guest appearances by Jessica Alba, Chris Gethard, Max Greenfield, Joe Manganiello, Cristin Milioti, and Nasim Pedrad. Season two of No Activity debuts on CBS All Access on November 22nd. 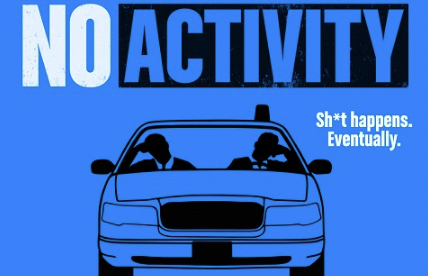 Sept. 25, 2018 – CBS All Access, CBS’ digital subscription video on-demand and live streaming service, today announced that all eight episodes of the second season of its original comedy series NO ACTIVITY will be available to stream beginning Thursday, Nov. 22. NO ACTIVITY’s second season debut marks the first time CBS All Access has released an entire season of an original series at once. I have been waiting for a Season 2 of this show–it’s brilliant!!! I wish the Australian version would get a Season 3.